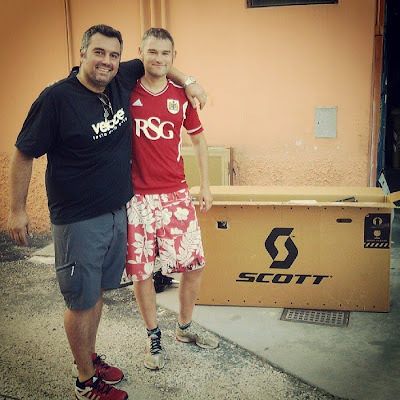 Veloce ® cycling and bike rental company : From London to Venice by bike : bike cardboxing and transfer service ! From London to Venice by bike : bike cardboxing and transfer service ! Our customer during dismantling and cardboxing of his bicycle necessary to go back home by airplain. This guy enjoyed self cycling vacation from London around European states and than finished in Venice where we disassembled his bike at our local store in Mira, cardboxed and then accompanied to his accommodation in Venice Marghera.